The bigger it is, the easier it is to acclimatize the invertebrates. Do not consider a tank of under 300 liters for a medium-sized anemone, accompanied by its clown fish. A volume of 400-500 liters is the absolute minimum for a tank containing several species of invertebrates. A maximum height of 50 cm is recommended to allow the light to penetrate, as well as making it easier for the aquarist to intervene. It makes sense anyway to install as large a tank as possible, as your enthusiasm for these creatures is bound to grow. Mounting a tank almost entirely composed of invertebrates, with a few fish added, requires ample knowledge of these animals. The pH in a coral tank sometimes undergoes slight but regular decreases. When it drops to under 8.3, it can be raised with sodium carbonate. Dissolve 5 g in 1 liter of water, and add 1 ml of this solution to each liter of clean water. This process is repeated every day until a pH of 8.3 is obtained. There are also some readyto- use solutions for this purpose available in the aquarium trade. 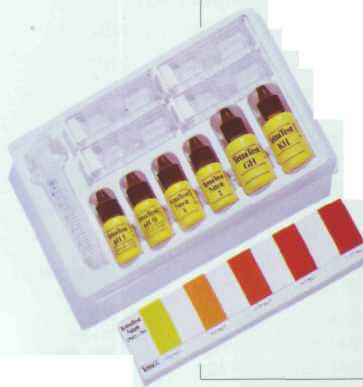 Easy-touse tests make it possible to control water quality, which must be perfect in an invertebrate tank. This must be stirred vigorously: use a pump with an outflow equal to at least five times, and up to ten times, that of the volume of the aquarium. Do not forget that the water in an invertebrate tank will never be as agitated as in a natural setting. The water must be very clear, to facilitate the penetration of light. It is therefore vital to have good mechanical filtration, possibly in conjunction with an air pump. Invertebrates are extremely sensitive to nitrates (NO3-). A box filter is indispensable, and its volume must equal at least 10% that of the aquarium. 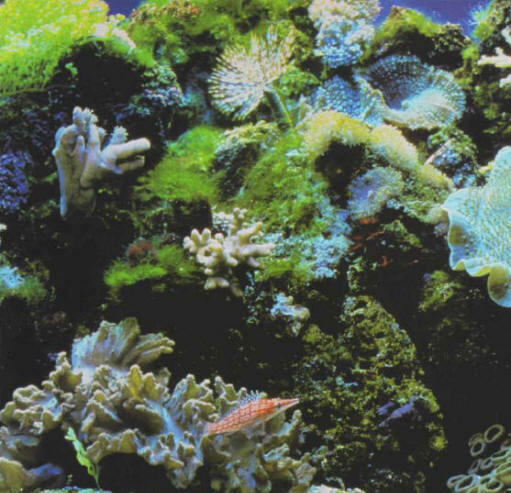 It must be pointed out, however, that tanks containing true corals, or madreporites, which form reefs can sometimes work well without this type of filter. In order to facilitate the operation and reduce the burden of the filter, thus increasing its efficacy, put the protein skimmer in its first section. As a complement to these techniques, you are strongly advised to perform partial water changes, at a rate of around 10% of the volume, once a week. It is advisable to change the water the day after the weekly feeding session, as this will help to reduce pollution. The specific gravity of the water must be around 1.024, although it can go up to 1.026. This is extremely important, both as regards quantity and quality. Apart from the aesthetic effect, lighting serves to enhance the development of Zooxanthellae, the micro-algae which live in the animals' tissues and contribute to their equilibrium. If the water is less than 50 cm deep, use fluorescent tubes as day lighting, in conjunction with a blue tube. Deeper water requires powerful HQI lamps, again combined with a blue tube. The lighting must be strong (around 1 W per liter of water) and should be left on for about 13 hours every day. UV lamps are not recommended for invertebrates. More detailed information on lighting can be found in the chapter Equipment and Accessories (page 226). Fine-grained soils are to be avoided, a size of 2-5 mm being perfect. The bed must be calcareous and comprise sand made from corals and marine algae, which can be complemented by crushed oyster shells to guarantee a moderate supply of calcium carbonate. 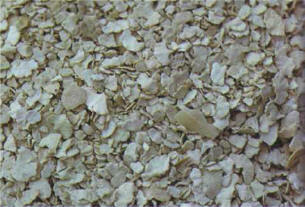 The substrate in marine tanks consists of coral elements in fairly large grains. These are green micro-algae which live in the skin of Anthozoa and other organisms, such as sponges or giant clams, a type of bivalve mollusk. They exchange substances with the cells of their hosts. The carbon dioxide (CO2) resulting from the metabolism of the cells - i.e. the oxidation of the foodstuffs - is collected by the Zooxanthellae. These, in their turn, absorb nitrogenous and phosphorous substances, carry out photosynthesis, and produce organic substances that enhance both their own growth and that of their host. This type of mutually beneficial association taking place inside an animal is known as endosymbiosis. 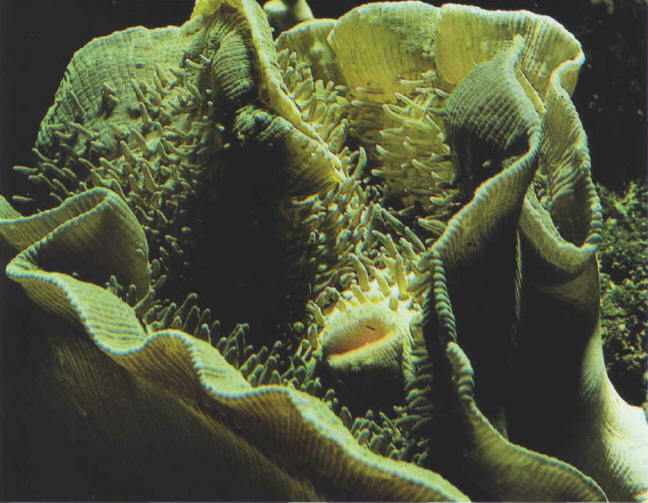 The Zooxanthellae contribute, to some extent, to the feeding process of Anthozoa, which therefore need only a very scanty external supply of nutrients: some organisms, such as the anemones, need to be fed only around once a week in an aquarium. The green coloring of this Anthozoa indicates the presence of a significant number of Zooxanthellae: this animal must therefore be placed under fairly intense lighting. This serves as a support for some animals. Create an aquascape in tiers or with steps, and place the species on it according to their need for light. This is easy to do with artificial materials, and the decor can be finished off with dead coral and rocks. Caulerpa prolifera is a common alga in marine invertebrate tanks. Plants release substances that have a beneficial effect on invertebrates, although as yet we still know relatively little about the mechanism of this process. When well acclimatized, the Coelenterates soon deploy their tentacles, which is a sign of good health. 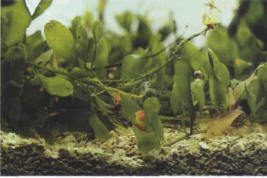 Use algae of the Caulerpa genus, but do not allow them to become too dense. In addition, remain on the lookout for the growth of certain filamentous algae, as there is a danger that they might smother some sponges and delicate Coelenterates. As the characteristics of invertebrates' native waters are radically different from those of the tank in which they will be placed, great care must be taken with respect to their acclimatization. The container in which the new arrival has been transported must be gradually filled with water from its future aquarium, to enable the invertebrate to slowly adapt before it is carefully transferred into its new habitat. The whole process takes about 1 hour. A quarantine period in an acclimatization tank is recommended. 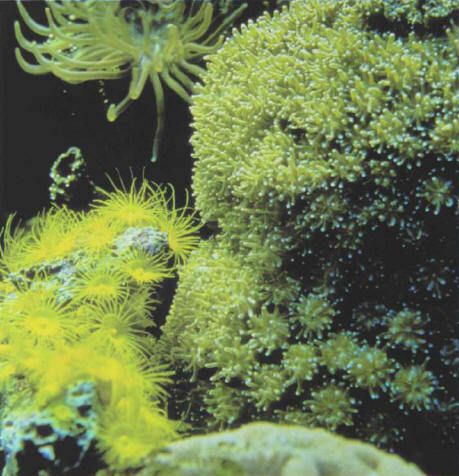 When handling invertebrates, be aware of the stinging capability of some species (such as anemones and madreporites). ЛИВРЕЯ , форменная одежда лакеев, швейцаров и пр. - длинный кафтан, расшитый галунами.